The advertising industry is a competitive one but Garner says it's crucial to reach out for help and support from people that goes beyond superficial networking on LinkedIn. Business schools spend too much time teaching students to focus on their competition and not enough teaching them collaborative skills, says networking community LBD Group founder and CEO Janine Garner. 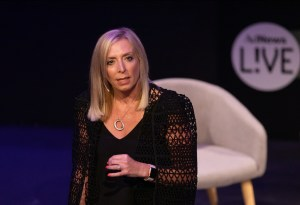 Speaking at yesterday's AdNews Lessons in Leadership event, Garner says in an increasingly competitive industry leaders need to work with other businesses both within and across industries, even if this makes them more vulnerable, instead of putting up their guards and protecting their work. She reminded the audience of video game company Atari's fate after it declined the offer to work with the much smaller Nintendo in the 1970s. Atari was nearly wiped out in the video game market crash during the 1980s while Nintendo continued to thrive and still holds second best-selling video game Super Mario. “I think there are a lot of Ataris in the business,” she said, before telling leaders they need to be willing to take more risks. “How many of us are stuck in the way we operate and are failing to play on the edge, be curious and to actually ask questions?”, she asked. To Garner, being a successful leader means taking these risks and collaborating with others, and she's not alone with this thought. An IBM study found that 75% of CEOs said the skills of working together are critical to delivering what's needed now and in the future. So why is it so hard to find collaboration in the industry? Garner told a packed out room of industry executives one reason is because business schools simply don't teach it and continue to tell students to look outwards. “If we take this concept to other fields such as sport it wouldn't work,” she said. Garner, who has authored books on career advice said this doesn't mean never looking at your competition, that would be naive she said. Instead, it means having enough confidence in your talent so that you don't feel vulnerable working with other people. The second reason collaboration is scarce is because it's more difficult than it seems, she argued. This requires bravery and to Garner bravery is a subtle thing. “You have to openly say I don't know how to do this and say I'm really scared this isn't going to work and ask for help. Vulnerability is really powerful,” she said. Vulnerability is how good leaders can draw out the best in teams, Garner believes. Again, Garner's words are echoed in studies. In 2015 a study by the National Association of Colleges and Employers almost 80% of employers saw working as a a team as a key skill they look for in candidates. Another study by Deloitte in 2014 found that, at the time, the collaborative economy in Australia was worth $46 billion and if we engaged and strategised another $9 billion could be added. As a final piece of advice for aspiring leaders, Garner reminded the audience of another collaboration skill; networking. “It's not what you know but who you know,” she said. “You have to take ownership of your career and that requires having the right network around you."